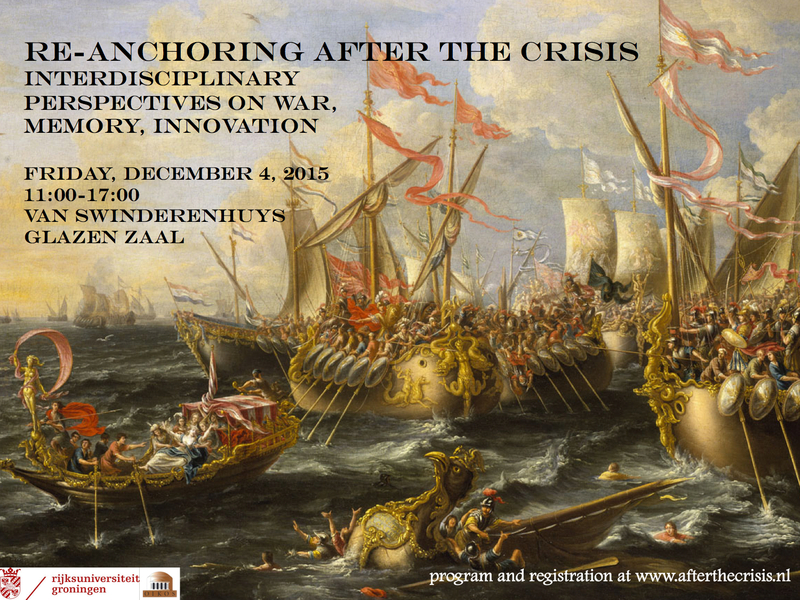 On this page we will be posting, as they become available, the working papers of the workshop Re-Anchoring After the Crisis: Interdisciplinary Perspectives on War, Memory, and Innovation, which took place on December 4, 2015 at the University of Groningen. The researchers of the After the Crisis-group are dedicated to open access publishing, and we are happy to share these documents here. Please note, however, that these papers and presentations are works in progress. We ask that you do not refer to, cite, copy from, excerpt, or disseminate these texts without the explicit consent from the author. Contact the organizers, Inger Kuin at n.i.kuin – at- rug.nl or Jacqueline Klooster at j.j.h.klooster – at – rug.nl, and they can put you in touch with the author. The papers appear in the order in which they were presented. If the title is not hyperlinked, this means that the paper in question is not yet available. Please check back again later.